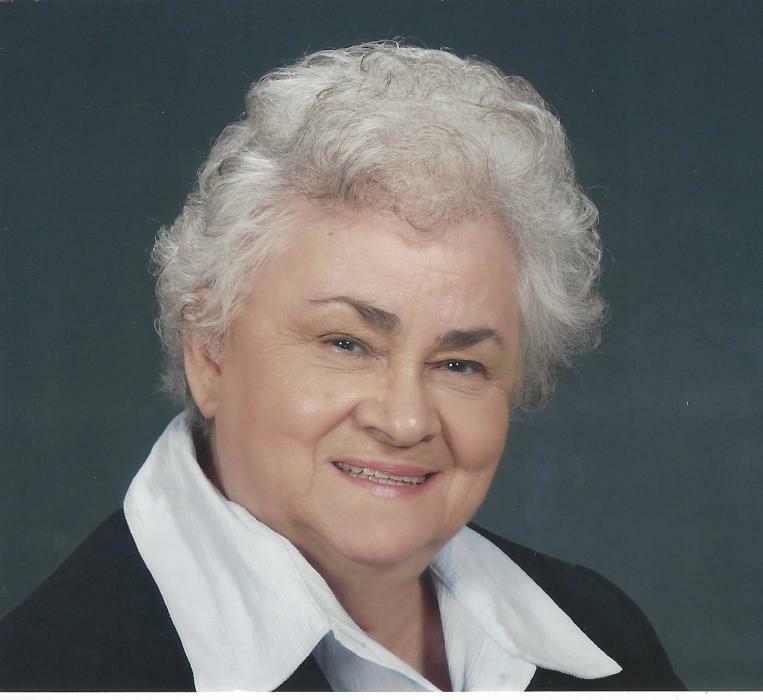 Waterville - Theresa M. Crocker passed away peacefully surrounded by family and love on March 31, 2019 at Androscoggin Hospice House in Auburn, Maine due to complications of multiple illnesses. Theresa was born on November 26, 1934 in Anson, Maine, daughter of Antonio and Mathilda Delile. She attended Anson Elementary School and Madison High School. Theresa married the love of her life, Charles Crocker, on September 26, 1953 and together they had five daughters. Theresa lived in the Anson/Madison area and attended St. Sebastian Church all her life until moving to Sunset Home of Waterville in 2012. She was a strong woman with a strong will who survived many serious illnesses and a great amount of pain in her lifetime. Her unwavering faith, which she shared with her husband and passed on to her children, was the center of all she did in her life. Her family was her life and she was very proud of her husband, her girls and her extended family. She very much supported her husband and soulmate and worked very hard both at home and outside the home as well as being a caretaker to her parents and sister. Through her life she worked as a waitress, a CNA in the healthcare field, a stitcher at the local shoe factory, and in food service, but loved being a wife and mom the most. Theresa (Mama) was a wonderful cook even though she never tasted much of her own cooking because she didn’t like many of the things she cooked for others; still they were always perfect and delicious. She had a wonderful laugh, a quick wit and a mischievous spirit. She would always giggle joyfully when collecting hugs and kisses from Janet and Vicki passed to her through her other daughters. She very much enjoyed her time at Sunset Home and her new family of ladies there. She was predeceased by her husband of 52 years, Charles E. Crocker, her brothers Norman, Edward and Leonard Delile, sisters Rosalie Delile, Doris Hooper, Gabriel Corbin, Cecilia Corbin, Mary Delile and Emily Delile, grandson Jesse Harding and son-in-law Mark Suliin. Theresa is survived by five daughters: Christine and husband Edward Arsenault of Monmouth, Irene and husband Amedeo (Chris) Christopher of Madison, Delores and husband Orman Whitcomb of Sidney, Vicki Suliin of Cedar Springs, Michigan, Janet and husband Dana Andrews of Duluth, Minnesota, her brother Thomas and his wife Lorena Delile, 10 grandchildren, 10 great grandchildren, many nieces and nephews, sisters-in-law Ferne Petley and Leah Mayo, and very long-time friends Dottie and Rodney Mitchell and Robert Theriault. The family extends special thanks to: the staff at Sunset Home where Mom felt very comfortable, loved and well cared for and who supported her in her journey home; Dr. Steve Witkin and his wonderful staff who kept mom’s sight for many years against seemingly unsurmountable odds; Dr. Roland Knausenberger who had the difficult task of balancing treatment of different illnesses while maintaining a good quality of life; all the wonderful Hospice nurses and aides and social worker at Northern Light Hospice for their unending caring, support and loving care, and Androscoggin Hospice House staff who made Mom’s final journey one of peace, dignity and caring. Funeral arrangements are through Giberson Funeral Home. Visiting hours will be held Thursday, April 4th from 4:00-7:00 p.m. at the funeral home at 40 Maple Street in Madison, Maine. A Mass of Christian Burial will be celebrated at St. Sebastian Church in Madison, Maine on Friday, April 5th at 11:00 a.m. Burial will be in St. Sebastian Cemetery in Madison on May 8th, with a time to be determined. In lieu of flowers those who wish may make donations to Androscoggin Hospice House, Northern Light Hospice, or to Sunset Home of Waterville.